Home › Forums › User Role Editor Pro › Unable to edit photo ! This topic contains 5 replies, has 2 voices, and was last updated by Syam Mohan 6 months, 3 weeks ago. I use Polylang, have 2 or more languages. 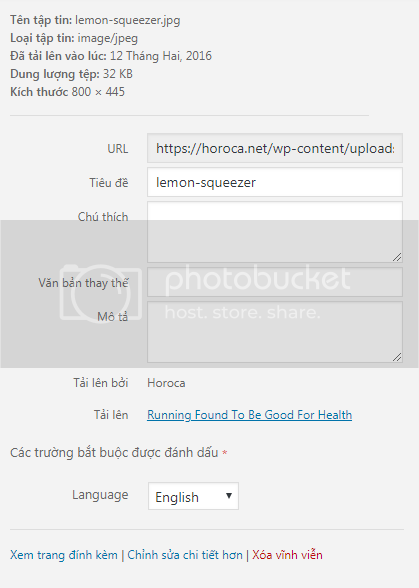 When I use this plugin I can not edit the language for the image. Just as I can not add keywords in the alt of the image. Although using the admin account at the highest authority. If you deactivate the role plugin, are you able to do these functions? So every time I want to edit the image, then turn off the plugin? I didn’t mean that. I was just making sure that the issue happens when this plugin is present. Can you share a screenshot of the settings you are trying to edit? Thanks for sharing the screenshot. Can you try doing a restore on ‘Administrator’ role and see whether that fixes the issue.